Vehicle Engineering Institute, Hunan University of Technology, No.88, Taishan West Road, Zhu-Zhou, Hunan, 412007, China. In simulation of the heat transfer between radiator and air flow field, the adoption of the radiator full-size model containing its core body structure with small feature sizes would require huge storage space and not be economical. In view of this question, based on the coupling of multi-scale models simulations, a calculation method of radiator performance is proposed in this paper the reliability of which is verified by an experiment test. Subsequently, the influence on the radiators’ thermal performance of the layout of the parts in front of the radiators is analyzed. Lastly, the layout of the front parts is modified to enhance the radiators’ thermal performance. 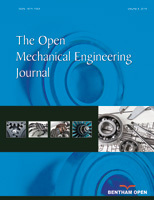 The investigation results indicate that: the radiators’ thermal performance calculation method based on simulations coupling of radiator multi-scale models considers the influences of air-side flow field distribution and the core body structure details; the error of the calculating values from the method is less than 5%, and the method is reliable; when the heat source parts in front of the radiators are situated right in front of the rear fan channel, the radiators thermal performance is better; the radiators cooling power increases 19.3kW after layout modification of the front heat resource parts.